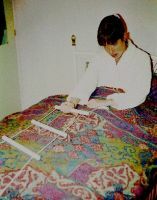 Rope ladders and pull straps are attached to the foot of the bed - either the foot board, the bed frame or the two end feet. 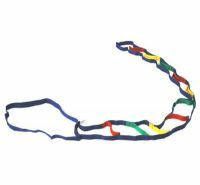 They are lightweight and easily transported. 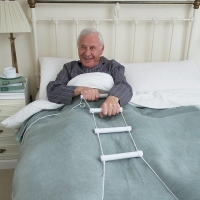 Rope ladders have rungs which the user pulls on to help him/herself into a sitting position. 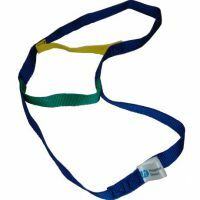 A pull strap has loops to pull on instead of rungs. 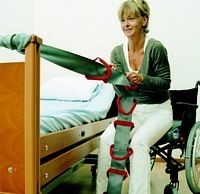 Some straps have a clip that makes it easier to secure the strap to the bed. The ladder must be safely and securely fixed in place and the first rung positioned within your reach. 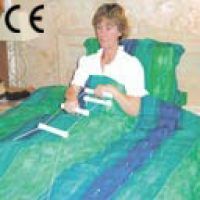 The ladder may need to be pinned to the bedclothes if it repeatedly slips to the floor during the night. 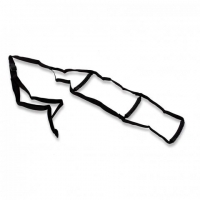 Take care when using a ladder with plastic rungs, as these may be slippery to hold.